That’s Exactly Why You Need This Book! With our amazing new book, “Throw a Dream Wedding on a Shoestring Budget”, you can throw a Cinderella-type wedding without going deep into debt. It can be mind-boggling that some brides think it’s alright to spend that much money on an event that lasts just one day! But for many, it’s a cost they’re more than willing to incur. are that confident about this union. That’s OK! 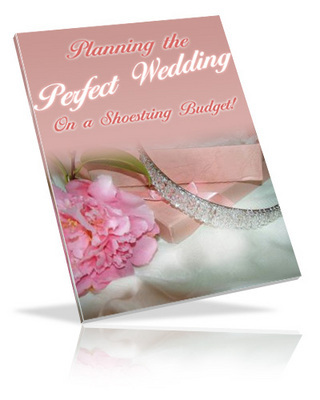 A great way to start is by ordering our valuable book, “Throw A Wedding on a Shoestring Budget” today! You could search for tips like these on your own, but why do that when it’s all right here! We’ve done the work for you! Along with page after page of money saving tips, this book also gives you valuable checklists to keep track of expenses and make sure you have covered all aspects of throwing a wedding. There’s nothing worse than being a week away from the wedding and stressing over whether or not you’ve covered all your bases! We’ll Help You Do That!